Appointed Dublin Ladies Senior Manager. as the new manager of the Dublin Ladies senior team. night the 20th of January. to Wicklow as senior team manager. as Dublin Senior Ladies Team Manager. 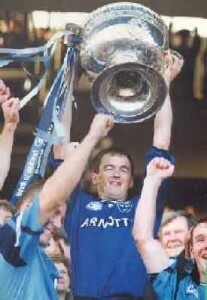 a long and illustrious career representing Dublin. Football wishes John the best of Luck in his new position.